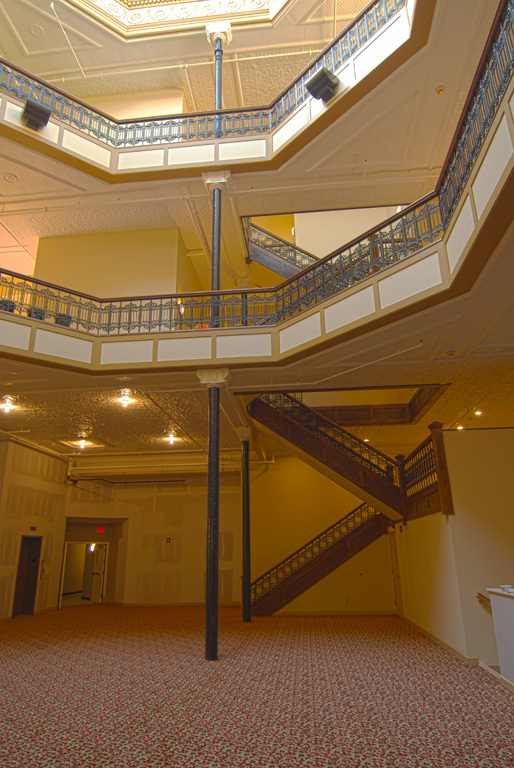 The Mercantile Lofts are now fully leased with tenants! You can still use the ‘Contact Us’ tab to send us a message and be put on the list for future openings. Please feel free to check back periodically for new availability. Summer is off to a great start here in Hamilton! Below are the units we still have available. Contact Brandi at 513-275-1740 or brandi@cdalliance.net to schedule a showing! 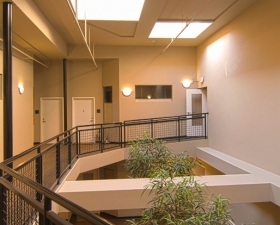 Unit 106 – This is one of our larger units in the building at 1,406 sq ft. It is a two level unit with two bedrooms and two bathrooms. Plenty of space to live and play in! This unit will make you feel like you are in a home and not in an apartment building. Availability for this unit will be mid-to-late July. Unit 206 – This unit is a one bedroom/one bathroom unit at a great value. 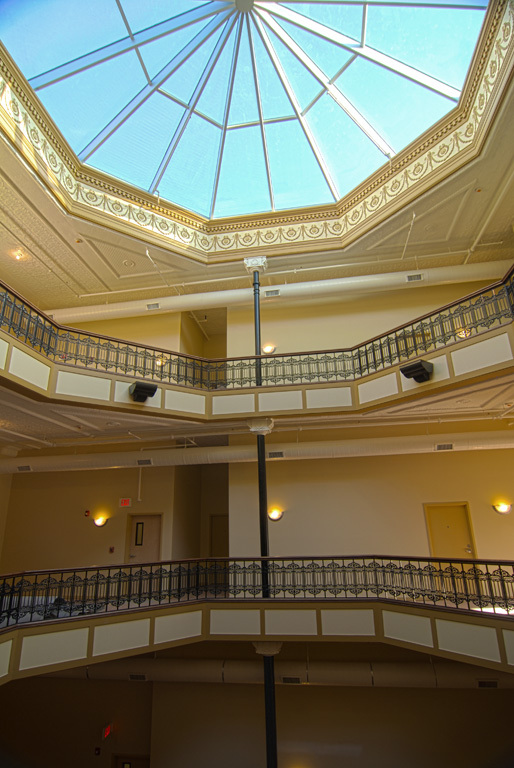 With a balcony that faces west, you’ll get peaceful views of Journal Alley. 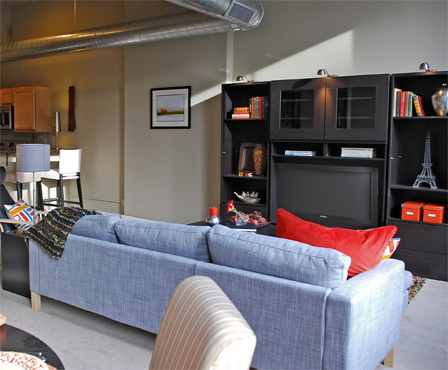 At 661 sq ft, this unit is perfect for someone just starting out on their own! Available late June – early July. Unit 301 – A two bedroom/two bathroom unit with great High Street views! 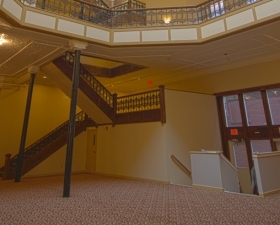 This unit offers 1,184 sq ft of space and features a lofted second floor bedroom. The kitchen/dining/living/ area provides a great set up for entertaining guests. This unit will be available late-June. We are beginning the process of updating the flooring in our open units. This may case a delay in some move in times for some units. Contact us for more details. We have some movement happening here at the Lofts. Below are some units that will be available in the next month or two. 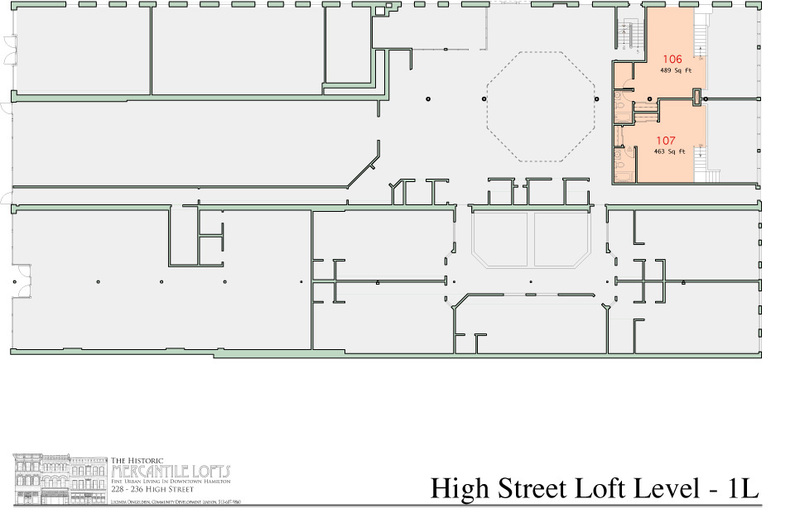 Unit 201 – A one bedroom/one bathroom unit with great views of High Street. It has 898 sq ft of space and a kitchen layout perfect for entertaining. This unit will be available mid-to-late June. Unit 208 – At 724 sq ft, this one bedroom/one one bathroom unit offers a large, quiet bedroom and open floorpan living/kitchen area. A balcony facing the east offers great shade in the afternoon. Available now! We’d love to have you come and be part of our community! For more information or to schedule a showing, please contact Brandi at 513-275-1740 or brandi@cdalliance.net. 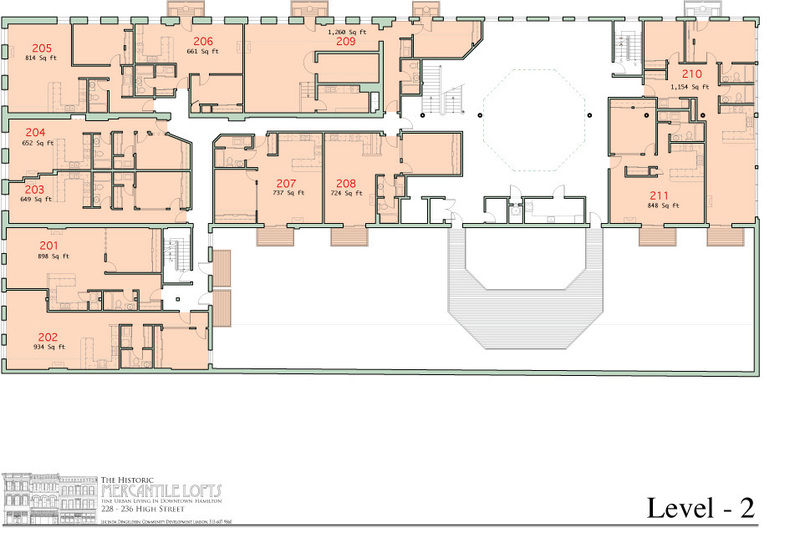 Unit 208 – This is a one bedroom, one bathroom unit that has 724 sq. ft. of space. With a balcony that faces East, you’ll get great views that allow some natural light to brighten your living/dining/kitchen area. 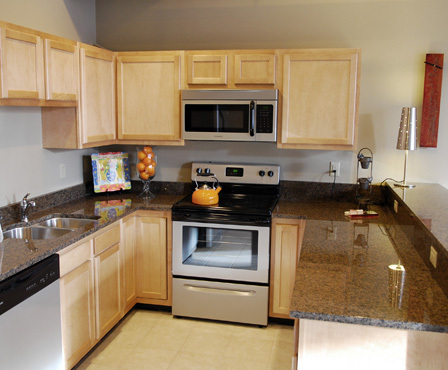 As with all of our units, the kitchen appliances and washer and dryer are included in the apartment. Please contact Brandi at 513-275-1740 to schedule a showing. 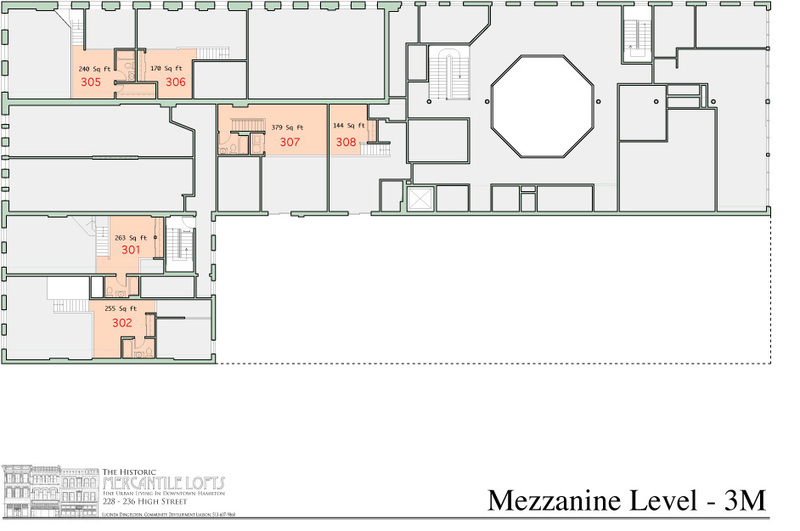 Unit 307 – This is a two bedroom, two bathroom unit with 1,125 sq. ft. of space. 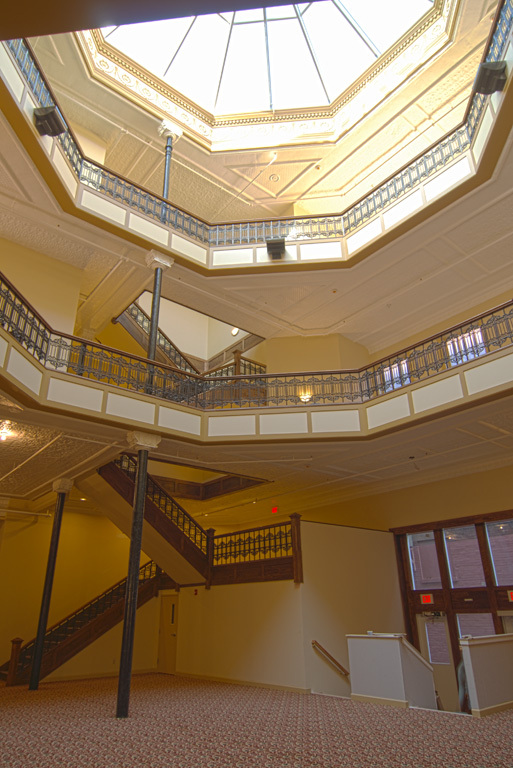 The second floor lofted bedroom creates a comfortable, airy feel that allows you to observe the living space on the first floor. 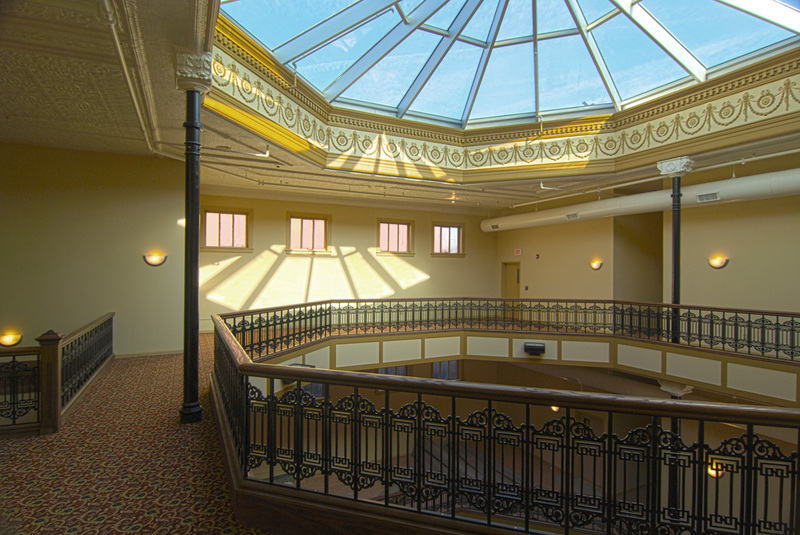 With a balcony facing the East, you’ll love to let that fresh Spring air into your new home. As always, our units come equipped with all appliances including washer and dryer! Call 513-275-1740 or click the “Contact Us” button to schedule an appointment! Spend the Holidays at The Merc! 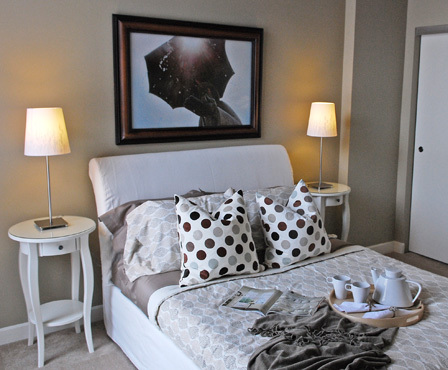 Unit 310 – A 2 bedroom, 2 bathroom unit that features 1,201 sq. ft. of space, two balconies, and lots of natural lighting. There are no lofts in this unit so each bedroom has it’s own space. There is more storage in this unit compared to others, which helps make this unit feel like a home. Don’t wait to check out this unit! Unit 307 – Coming available in February 2016. 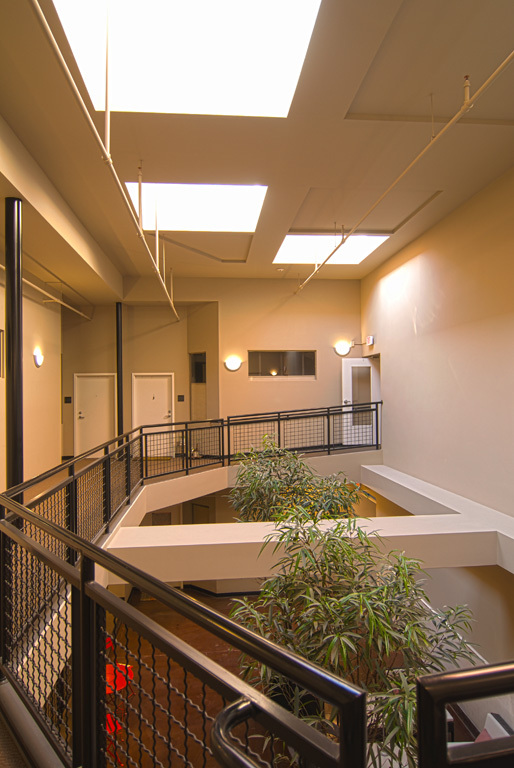 This is a 2bd/2ba unit with a lofted second floor bedroom. It has 1,125 sq. 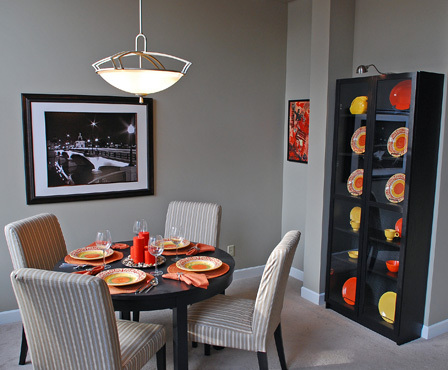 ft. With an inviting kitchen, dining, and living area you’ll feel right at home in this unit. Unit 106 – Also available in February 2016. This is a large 2bd/2ba unit with 1,406 sq ft of space at a great price! The upper lofted floor creates a large bedroom with plenty of storage and it’s own bathroom. Call us at 513-275-1740 or use the “contact us” link to schedule a showing. New Units Available for the Fall! 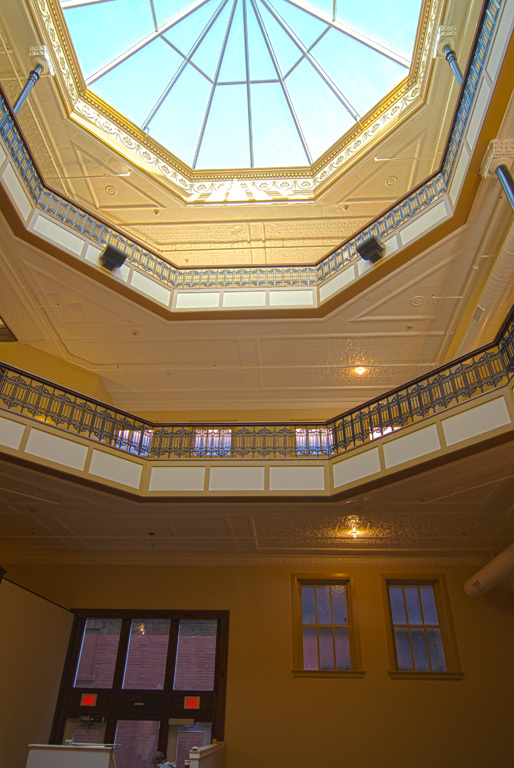 We have new availability here at the Merc Lofts! Unit 201 – This 1 bedroom, 1 bathroom unit has a very natural and fluid layout. 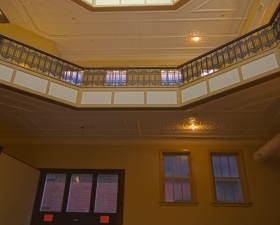 High Street views and a detached balcony offer great views of Downtown Hamilton. At 898 sq. 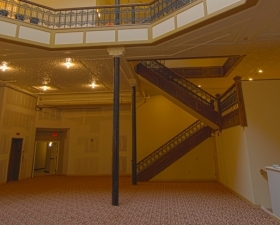 ft., this unit is the perfect amount of space for downtown living! 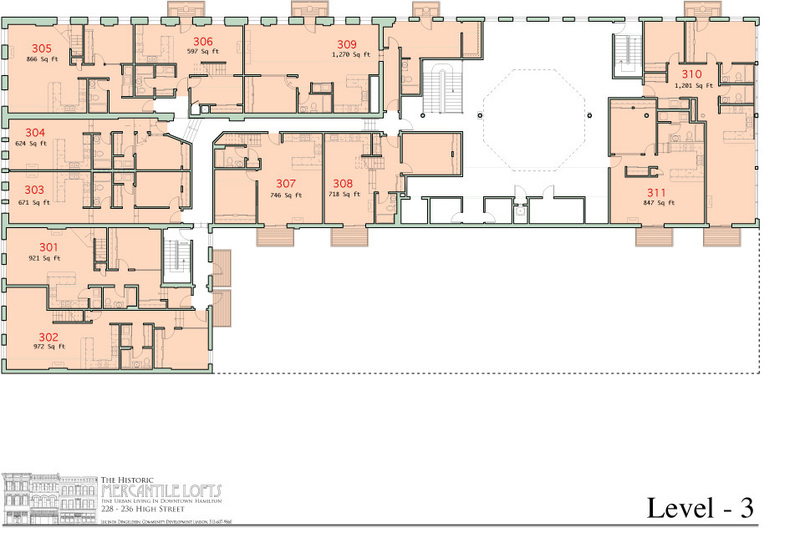 Unit 310 – A 2 bedroom, 2 bathroom unit that features 1,201 sq. 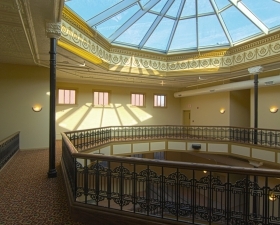 ft. of space, two balconies, and lots of natural lighting. There are no lofts in his unit so each bedroom has it’s own space. There is more storage in this unit compared to others, which helps make this unit feel like home. Don’t wait to check out this unit! Downtown Hamilton is bustling with activities! With the new Alive After 5 event that promotes shopping and dining at our area businesses, to the new Market and Deli that opened down the block there’s no better time to move to The Merc! 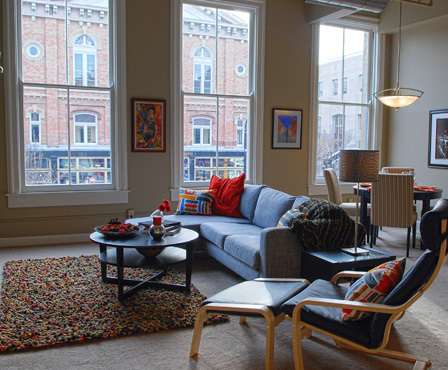 Stop by our office at 236 High Street or call us at 513-275-1740 to schedule an appointment to view any of these units! 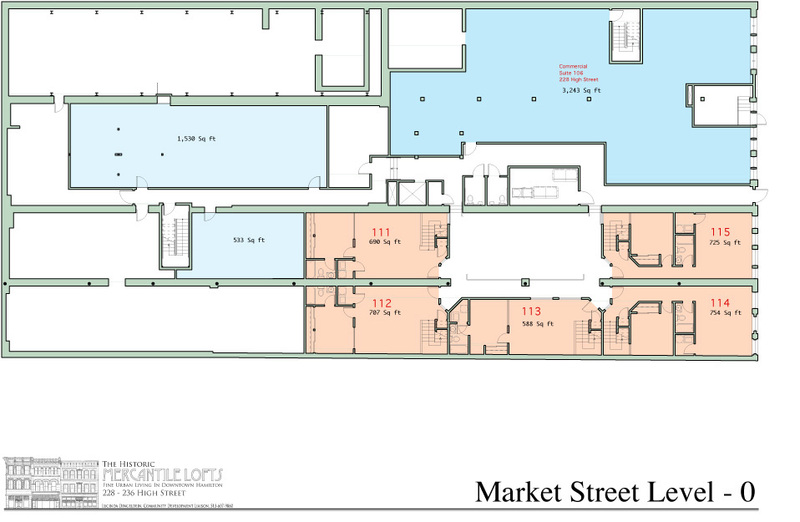 We are currently offering Unit 302 as a sublet. This unit is a beautiful High Street facing unit with 2 bedrooms and 2 bathrooms. It has 1,227 square feet and features a lofted upper floor bedroom. Rent is $1,300/month with water and trash paid by landlord. Please contact Todd Stuart at tas1800@gmail.com if you’re interested in subletting this unit. 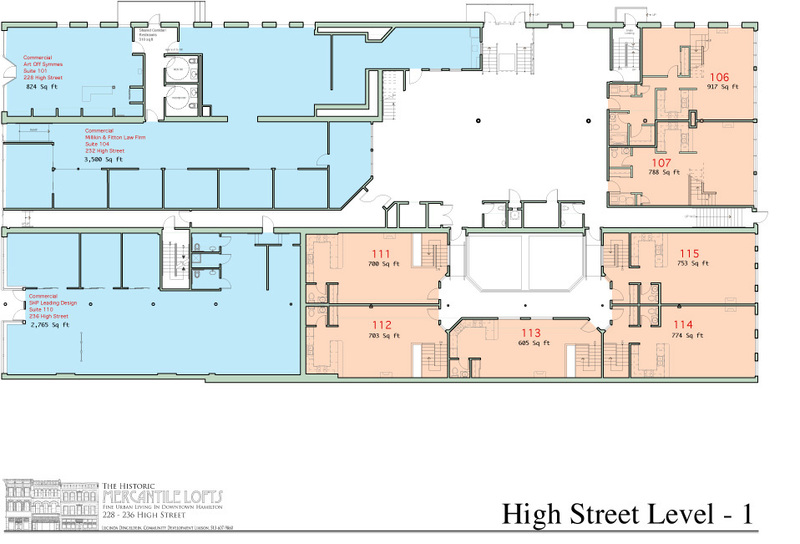 All of our recently available units are tentatively leased. Please check back often to see any new updates and use the “Contact Us” tab to get on our waiting list. Thanks for visiting us at The Merc! 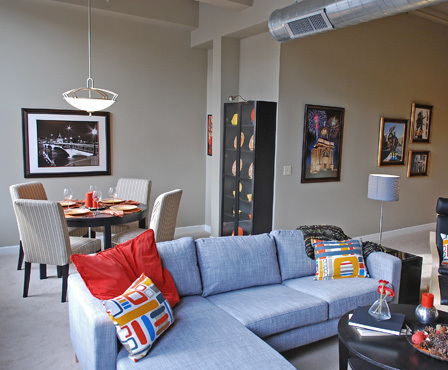 Unit 310 – A large 2 bd/2 ba unit with two balconies! This unit has a great layout and 1,201 sq. ft. of space. Tons of windows give this unit a lot of natural light. Rent for this unit is $1,300/month. Unit 106 – Will be available in August. It is 1,406 sq ft with 2 bd/2 ba. 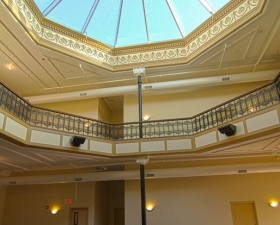 It features a large living space and large second bedroom that is lofted on the second level. Rent is $1,000/month. Unit 115 – One of our live/work units with a large lower level workspace with polished concrete floors and a second entrance to the lower level atrium. It is 1,478 sq ft with 1 bedroom and 1.5 bathrooms. Rent is $1,000/month. Please call us at 513-275-1740 to schedule a viewing!